This shows a 3D microstructure containing multiple changes in solidification speed. The intermetallic phases show the various adjustments of the rods in the microstructure, including splitting, merging and overgrowing, at different speeds. Image: High Performance Computing and Data Science Group, Karlsruhe Insitute of Technology and Karlsruhe University of Applied Sciences. Scientists have long tried to document materials' properties under different conditions. These investigations spawned the field of materials science, and have helped humanity create aircraft and spacecraft, revolutionize healthcare, and build industrial processes to manufacture products from adhesives and cosmetics to jet fuel and fertilizers. However, as researchers attempt to create increasingly complex materials to address increasingly intricate industrial needs – such as improved material resilience for high-temperature processes – the ability to uncover and understand materials' properties experimentally has become increasingly costly in resources, energy, money and time. A team of researchers led by Britta Nestler at the Karlsruhe Institute of Technology and the Karlsruhe University of Applied Sciences in Germany works on the frontline of advanced material design, using computation to model new material properties. The team primarily focuses on materials for which experiments are incapable of adequately characterizing and controlling the origin of their properties, or where such experimentation would be extremely time consuming. Nestler, who was recently awarded the 2017 Gottfried Wilhelm Leibniz Prize by the German Research Foundation, and her team – with the help of the High Performance Computing Center Stuttgart (HLRS)'s Cray XC40 Hazel Hen supercomputer – have now scaled new heights in their multi-physics and multiscale modeling and simulation efforts. 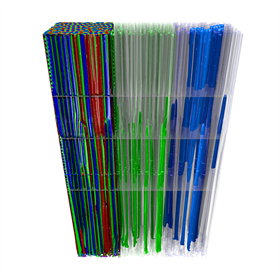 The Karlsruhe group developed the parallel simulation software Pace3D (Parallel Algorithms of Crystal Evolution in 3D) and is a long-time user of HLRS resources, previously investigating material pattern formations such as multiphase directional solidification. One of the team's central goals is using computational analysis to study the effect of varying melting conditions on material properties and microstructure quantities. In a recent paper published in Acta Materialia, the researchers detail 3D simulations of an aluminum-silver-copper (Al-Ag-Cu) alloy as it solidifies, and compare microstructure characteristics with experimental photographs. For the first time, the researchers have used a combination of theory and experiment to induce tailored changes in solidification speed, in order to modify the microstructure and, in turn, material properties. The team chose Al-Ag-Cu due to the wealth of available experimental data that could be compared with their simulation results. Their method sets the stage for larger simulations of more complex materials. Materials scientists are often seeking to understand the limits of materials – the hottest temperature a material can operate at, the highest pressure it can withstand, among others. One topic of interest is understanding which properties of eutectic alloys – consisting of two (binary eutectic) or three (ternary eutectic) distinct solid phases in a microstructure arrangement – result in the lowest melting temperature. The Nestler team has recently focused on ternary eutectics with three alloy components. Using Hazel Hen, the team simulated how certain process conditions – such as solidification speed or processing temperature – affect a eutectic alloy's microstructure. To deduce correlations, the team needed large-scale 3D computations to simulate a representative sample of microstructural patterns. The team had previously hypothesized that when an Al-Ag-Cu transforms from liquid to solid, the speed of the solidification transition plays an important role in determining how its microstructure pattern splits and merges. As well as how the length and width of the fibers that subsequently form influence the material's strength at higher temperatures. However, the researchers only had 2D experimental data available, preventing them from unequivocally proving or disproving their hypothesis. Experimentalists and computational scientists needed to see this process unfold in 3D, and that could only be done with the help of a supercomputer. The team had created multi-physics software tool Pace3D for incorporating a wide variety of material models and implemented a highly optimized version in a collaboration with the Fredrich Alexander University Erlangen-Nuremberg in Germany. This tool breaks down massive 3D simulations into roughly 10,000 computerized cubes, then solves a variety of physics equations within each cell for millions of time steps – each step is 0.1–1.0 microseconds. The team ran sets of simulations that varied in solidification speed, with each simulation requiring roughly one day on approximately 10,000 of Hazel Hen's CPU cores. The researchers were surprised by the outcome. Based on their 2D experiments, they assumed that the eutectic microstructures grew quickly in a straight, largely uniform manner. However, the simulation revealed many rearrangement processes during solidification, and illustrated that microstructure patterns change more slowly but on longer length scales than previously assumed. These results were later confirmed by synchrotron tomography, an imaging technique that allows researchers to study material properties on a fundamental level. The team's accurate simulation results represent a proof of concept for their ability to simulate microstructure formation in more complex, and more industrially relevant, materials under a wide variety of material and physical conditions. As experiments continually get more complicated – for example, the Karlsruhe experts in computational materials modelling have collaborated extensively with experimentalists doing zero-gravity material design research on the International Space Station (ISS) – computations will continue to play a larger role. Nestler indicated that experiments such as those on the ISS were extremely important, but also expensive and time consuming to prepare. Supercomputing methods help researchers to make large strides toward developing tailored materials with specific properties for particular applications while also bringing down the cost. Computing also allows researchers to run many permutations of the same simulations with very subtle differences, which would otherwise require dozens of individual experiments. "In our simulations, we can vary physical and processing conditions, such as the solidification velocity, which have an influence on microstructure. By controlling these parameters, we end up getting a well-designed, tailored microstructure," said Nestler. By revealing how to change speed and temperature profiles during the production of complex materials, large-scale parallel computations support materials scientists in designing novel materials that are well-suited for a specific task. These materials can be used for air and aerospace technologies, as well as in industrial processes, where materials are exposed to extremely high temperatures or pressures. For example, conducting simulations of a nickel, aluminum and chromium-34 alloy, the team were able to show how the microstructure's alignment improves by establishing controlled process conditions. This resulted in a higher creep resistance, meaning that the material will not deform when exposed to mechanical or temperature-based stress. "Our main goal is to design particular microstructures for multi-component alloys, for cellular- or particle-based systems that are based on its application," Nestler explained. "The application defines what new materials should look like or should be able to sustain, and we can now design, in a controlled manner, the particular microstructure that is needed." This story is adapted from material from the Gauss Centre for Supercomputing, with editorial changes made by Materials Today. The views expressed in this article do not necessarily represent those of Elsevier. Link to original source.